Discussion in 'Golf Equipment Talk' started by thegolfclubdoc, Nov 25, 2018. I already play with a Ping Zing maple laminate driver. But I have been flirting with the idea of having a second set of persimmon woods and blade irons. I love the way blades look and feel. And I want to take on the challenge of playing them blades and persimmons. But I'm still contemplating. Anyone make that kind of switch? What has been your experience? I played some hickory golf last year. I cobbled together a sweet set of hickory irons, took them apart, reset and repinned all the heads, re-wrapped leather strip grips on them, and even learned to rewhip the heads with wax thread. It was a blast. Problem was, the events were all over an hour away, and were expensive to enter. I eventually sold it all. They're very hard to hit consistently. Those guys were good! TheTrueReview and thegolfclubdoc like this. Not sure if I'm ready for hickory shafted clubs, but I would like to play blades and persimmons. I'm trying to decide What I should buy. A good ball striker should be able to play the older blades and persimmon woods relatively well. Personally, I feel golf is frustrating enough with the more forgiving perimeter weighted irons and metal woods. If that's your cup of tea, go for it! You should be able to find some in fairly good condition without needing to make a large investment. Whatever makes the game of golf as fun and interesting as it can be is the way to go!!!! I saw a set of MacGregor v- foil blade irons that looked sweet. I was also thinking about going to Goodwill to find something cheap to practice with. Yeah, it's all about having fun. I think that using persimmons and blades will be challenging and fun. Maybe I will use them when I play just nine holes. 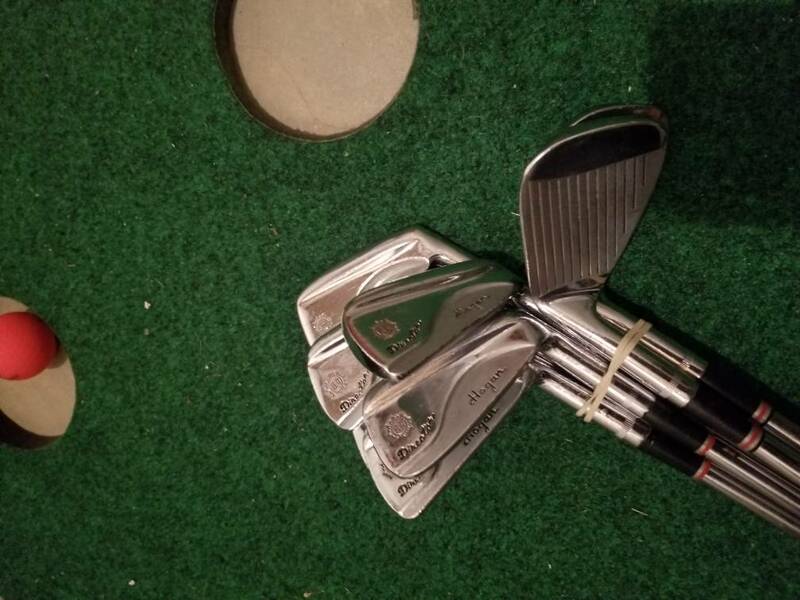 I bought a set of Ben Hogan Directors irons 2-E. Got them from Offer Up for $35. Have to find an indoor range to try them out. Fairwaysplitter3320, PaPaD and limpalong like this. The grips are in poor shape. But I'm going to give them a shot. I was also looking at the Ben Hogan Apex II cameo irons. Those look sweet. I have a refinished set of Apex II irons. Beautiful, but impossible for me to hit well. Radials are much easier. So, I had an impulse buy that I'm actually excited about. I sold the Ben Hogan Director irons because I didn't really like the shafts on them. But the faces felt sweet. 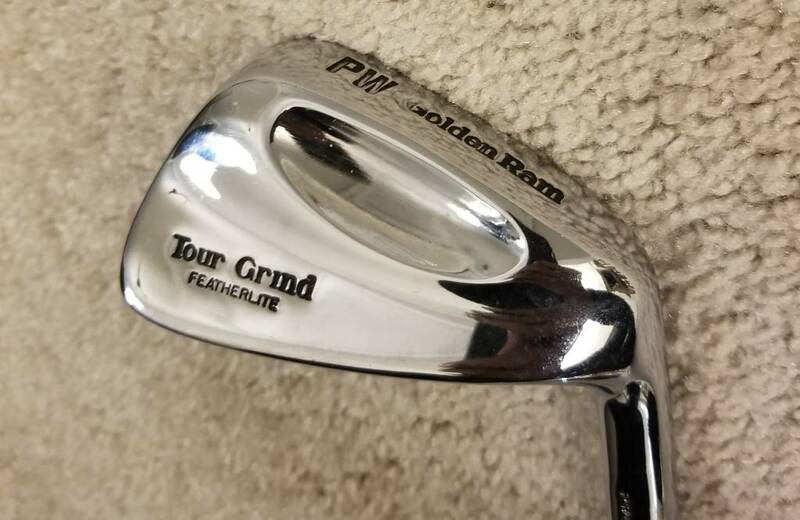 So I bought a set of Ram Tour Grind Featherlite irons for $65 on ebay. These are the sweetest looking irons I have ever seen. Can't wait to test them out. Next thing you know you have so may clubs you can't park in your garage. thegolfclubdoc and PaPaD like this. Ha. Im going to try not to go overboard. I like these Rams. I hope they hit well. Ha. Im going to try not to go overboard. I said that after my first set of Hogans, the Apex II. I finally quit after 20 sets. Couldn't help it because they look like this. How do you pass on it? PaPaD, SiberianDVM and IrishGolfer like this.